Sleeping Disturbances- Not being able to fall asleep, waking up through the night, or even sleeping too much, not wanting to get out of bed. Appetite Disturbances- Feelings of being hungry and never feeling full, not having an appetite at all, or even over eating. Trouble Focusing and Concentrating- Losing your train of thought, having difficulty listening to what people are saying and following through with tasks. This is one of the most common traumatic effects in children, often when children are stressed it is hard for them to participate in their lives and focus in their classroom or at home. 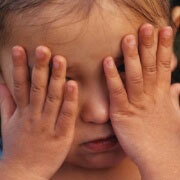 In children, this is often diagnosed and treated as Attention Deficit Hyperactivity Disorder. Behavioral Outbursts- many people find it difficult to understand what they are going through and often will express this in anger and outbursts. Adults often do this with road rage. Their fear of lack of control related to the trauma will often be expressed in one of the most vulnerable states we place ourselves in each day, driving. Traumatic Reminders- also known as a “trigger,” is any person, situation, sensation, feeling, or thing that reminds an adult or child of a traumatic event. When faced with these reminders, an individual may re-experience the intense and disturbing feelings tied to the original trauma. This is one of the more common symptoms that often produce greater mental health and substance abuse problems. Trauma is universal and can affect anyone at anytime. There are lots of ways to gain support; often times talking with friends/family is a great way to normalize these feelings. There are also support groups in the community, and comfort lines. If symptoms persist and become bothersome, seek professional care; call your doctor or a mental health professional and be sure to inform them of your experience.